Linda is the Co-Founder of Pyramid Community Development Corporation (CDC). Pyramid CDC is a non-profit organization created with the goal of lifting individuals out of poverty by providing advanced technology training, workforce development courses, financial literacy, virtual banking, self-development courses, STEM, robotics, and technology programming for youth; along with connecting these residents to self-employment, and small business opportunities, and higher paying jobs here in Columbus, and more specifically the Linden area. (00:11:52) Why create Pyramid CDC? 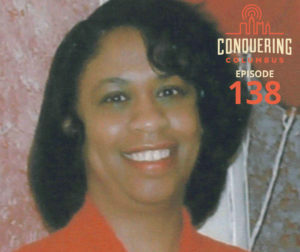 (00:22:30) How can the people of Columbus, and beyond, help contribute to Pyramid CDC’s mission?